Update 11/22/2017: Ares Wizard not working? The Ares Wizard Kodi addon recently shut down due to a legal complaint. Consider using the TVAddons Indigo tool instead. Creating a home theater system used to be time consuming and monotonous, but thanks to a piece of software named Kodi, that’s no longer the case. 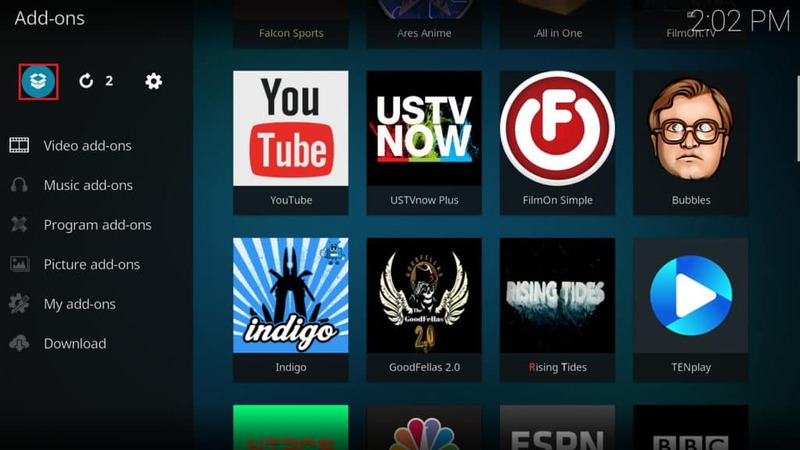 Kodi can be installed on a wide variety of different devices and operating systems. Its feature-rich format allows you to spend less time tinkering with settings and more time watching your favourite content. 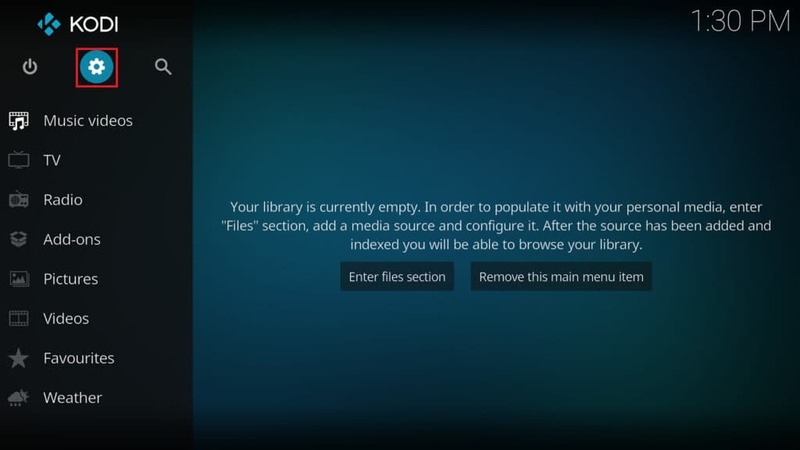 There are two ways to access Kodi content. The first is to save content directly to your computer and play everything locally. However, you can also install additional software packs called add-ons. These are usually grouped together in a collection known as a repository. While Kodi comes with an official repository, this holds just a fraction of all the add-ons available. To access the others, you’ll have to install third-party repositories, either manually or through utilities such as the Ares Wizard. You should be aware that there is a distinction to be made between official and third-party add-ons. Official add-ons are created, thoroughly tested and delivered by legitimate sources. Conversely, third-party add-ons may have more vulnerabilities and the content if offers access to may not be officially licensed. We urge users to thoroughly research any add-on before they attempt to install it. 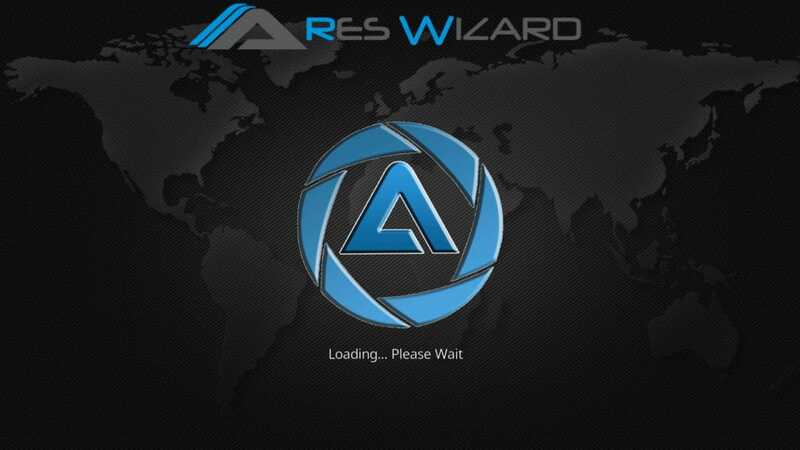 The Ares Wizard provides access to all of the content created and hosted by a development team known as the Ares Group. 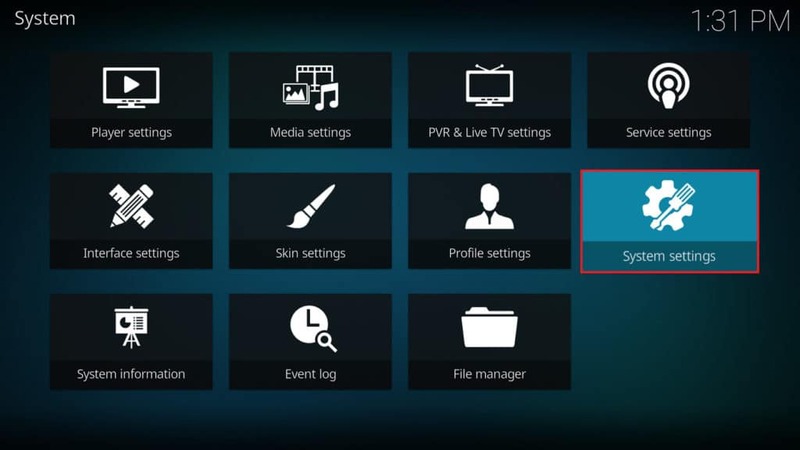 One of the benefits of using this tool is that it allows you to switch between “builds” – preconfigured Kodi setups which come with various add-ons already installed. It is important to recognise, however, that the video add-ons that Ares provides access to are not officially licensed. It contains other third-party repositories, some of which include completely legitimate sources of content. 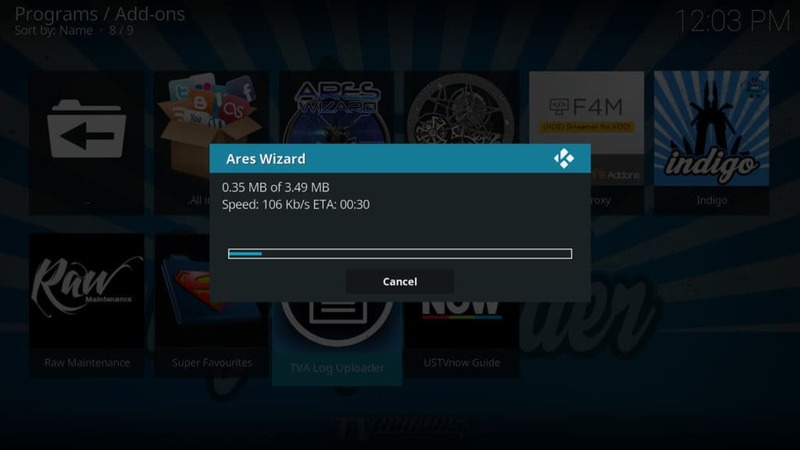 This guide will not be recommending any specific media-based add-ons, instead simply focusing on how to install Ares Wizard. There are a number of risks that come with using Kodi, and indeed, the internet as a whole. Malicious third-parties can intercept your data as it is transferred using a process called a man-in-the-middle attack. This allows them to steal anything from your browsing history to your bank details, but hackers aren’t the only people interested in seeing what you’re up to. In fact, there’s a strong chance that your own ISP is trying to keep an eye on your habits, even if you aren’t doing anything illegal. They can do anything from selling your data to deliberately slowing down your network speeds in order to discourage streaming. See also: How to stop Kodi buffering. 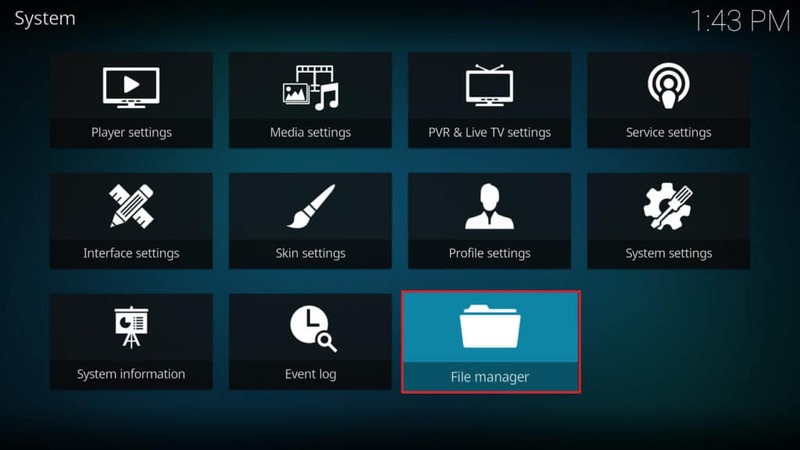 The good news is that you have a way to protect yourself and your privacy when using Kodi. If you use a virtual private network (VPN), your browsing habits and network traffic are encrypted, making them useless to any outside observer. Additionally, some services like Netflix and the BBC iPlayer geolock their content, which means that it’s usually inaccessible from outside of a certain region. However, as a VPN allows you to connect to servers from all around the world, you’ll be able to access any region-locked media regardless of where you’re located. We’ve found that IPVanish is one of the best VPN services available. Unlike many of its competitors, it doesn’t keep logs of your browsing habits and doesn’t negatively impact your network speeds. You can even install it on a Fire TV or Fire Stick if you’d like, so it really is an invaluable tool. Reader deal: You can save up to 60% on an IPVanish plans here. If you haven’t already, now is the time to install Kodi. It’s a very simple process: just open https://kodi.tv/download in your browser. From here, scroll down and select the operating system you’ll be using, then choose which version you want. Unless you’re already experienced with Kodi, we’d recommend choosing the release version over the nightly one, since the latter of these is an incomplete build which may not always work as it should. 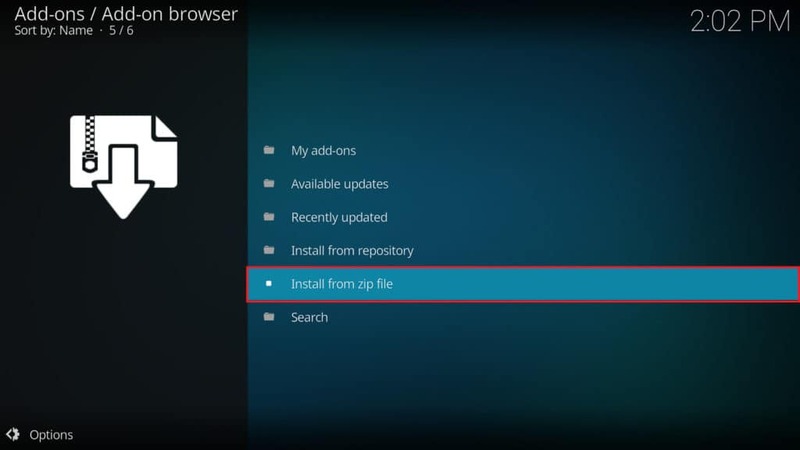 After you’ve downloaded the installer, open it up and follow the steps to install Kodi. Before we can begin, Kodi has to accept installations from unknown sources. This is fairly straightforward and only takes a second. On the home screen, click the gear icon on the left-hand side. This will take you to the settings screen. Next, click the System Settings button on the far right. Finally, locate the Add-ons option in the menu on the left-hand side of the page. Once you’ve selected this, you’ll see several options in the middle of the page. Look at the one which says Unknown sources – if the toggle button beside it is white then Kodi already accepts installations which come from unknown sources and you don’t have to do anything. If it’s a dark grey colour, click on it and select the Yes option in the window that pops up. 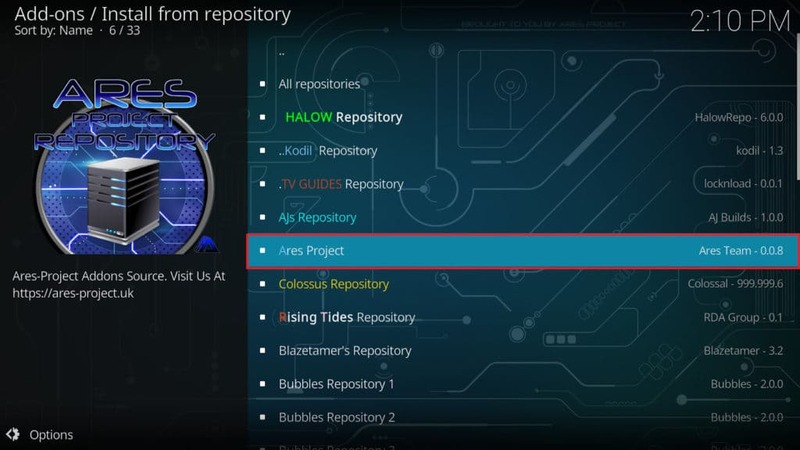 Before we can install the Ares Project repository which contains the Ares Wizard, Kodi has to be told where to find it. 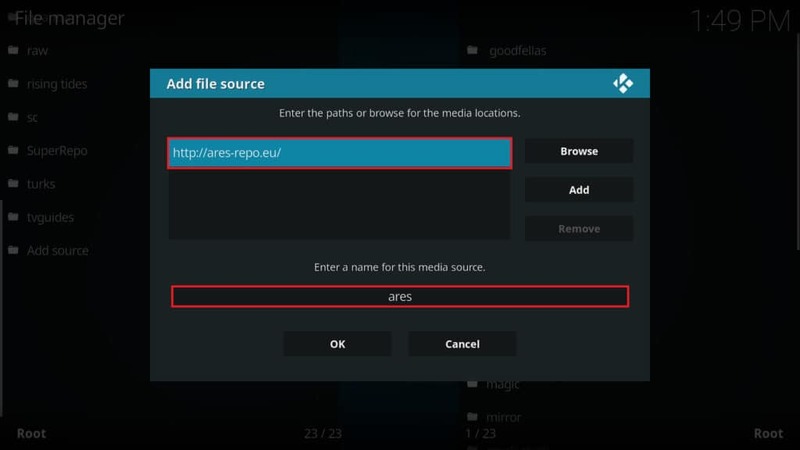 You have the choice of downloading it directly from http://ares-repo.eu or providing Kodi with the web address. Neither of these options is inherently better than the other, but entering the URL into the file manager is usually simpler. If you decide to download the repository, make sure to make a note of where it’s saved as we’ll have to enter its location shortly. From the home screen, click on the gear icon, then the File Manager option in the bottom-right on the next page. You’ll now see a list of all the sources you’ve saved. At the bottom of the list on the left-hand side, click on the option that says Add source. If you saved the repository locally, click on the Browse button the right. This will open a file explorer which will let you navigate to the file’s location. If you didn’t save the repo locally, click on the box which says <None> in the window that appears. In this text box, enter “http://ares-repo.eu” without the quotation marks. You’ll also be asked to enter a name for the source. Here, we’ve named it “ares”, but you can call it whatever you like. Next, return to the home screen by pressing the escape key twice. 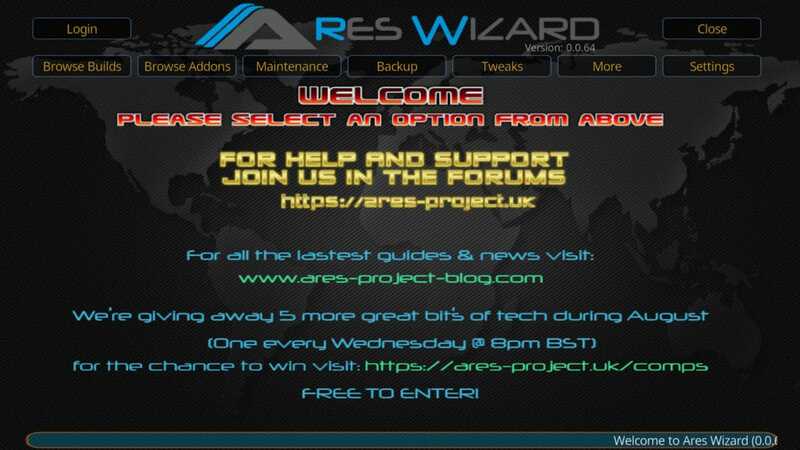 Now that we’ve added the Ares Project repository, it’s a simple matter to install the Ares Wizard add-on. Click on the Add-ons option in the home screen menu, and on the following page click on the icon that resembles a box opening up. This is in the top left-hand corner of the screen. This takes us to the add-on browser page. From here, click on the option which says Install from zip file. Once again, you’ll see a list of all the sources in your file manager. Scroll through it until you find the name you gave to the Ares repository earlier, then click on it. There’s only one file here, so click on it to install the repository on your computer. You’ll find yourself returned to the add-on browser screen. This time, click on Install from repository. On the next page, locate the repo named “Ares Project” and select it. Once inside the repository, select the Program add-ons option and click on Ares Wizard. In the bottom right-hand corner, there is an Install button. Click this and you’ll be notified that the add-on has been installed. 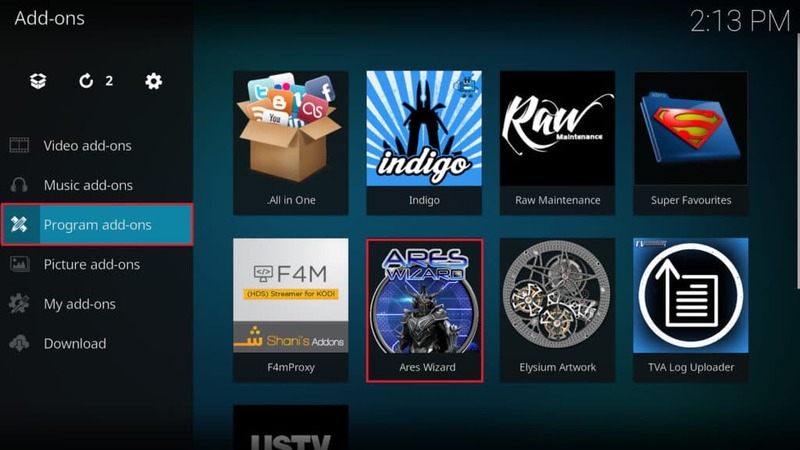 You can double check this by returning to the home screen, selecting Program add-ons and finding Ares Wizard in the list. The first time you start the Ares Wizard add-on, it will unpack additional files. This should only take a few seconds, after which you’ll see a loading screen. Once it has finished loading, you’ll be presented with the add-on’s main screen where you can install new add-ons, try out new builds, or download additional repositories. 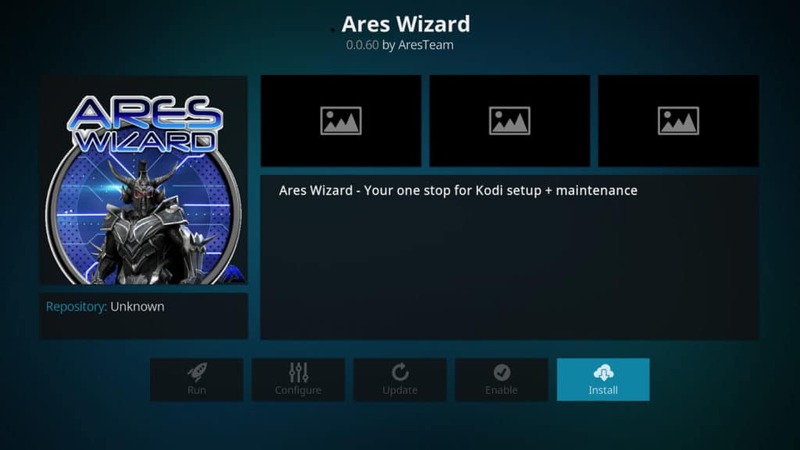 That’s all there is to installing the Kodi Ares Wizard add-on. It provides quick and easy access to several of Kodi’s most popular repositories as well as some custom builds which allow you to more easily set up a bespoke Kodi installation. See also: The best add-ons for watching movies on Kodi. The fusion site above is a dead link. is indigo still working? have a horrible time getting shows to load and play.